Diamond Foam & Fabric Co., Inc.
We are Interior Design Studio specializing in Custom Curtains and Drapery. We Listen to your needs, desires, and budget constraints, and help you create an Exceptional environment designed specifically for your unique personality, while avoiding costly mistakes. One-stop showroom for decorator fabrics and custom upholstery, furniture fabrication, window treatments, cushions and pillows. Complimentary interior design provided for fabric selections and coordination with other furnishings. Black Diamond offers the best custom furniture upholstery and reupholstery services in Orange County, CA. Quality work, exceptional service. We provide custom upholstery in Orange and surrounding counties. Universal Upholstery is family owned and has been in business since 1980. 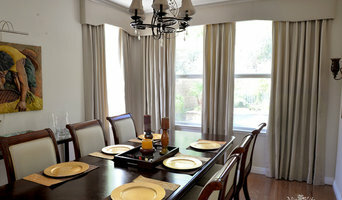 Conveniently located in Laguna Canyon directly across from the College of Art and Design. We make new furniture from sectionals to headboards and upholster all except the automotive industry. We dedicate our work to doing custom upholstery, slipcovers, and drapes. 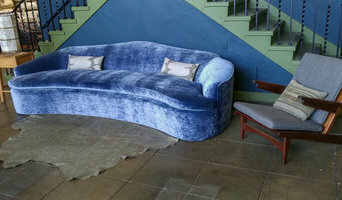 We reupholster or custom make to order sofas, chairs, ottomans, window seats, upholstered beds, upholstered headboards, bedding, pillows and more. 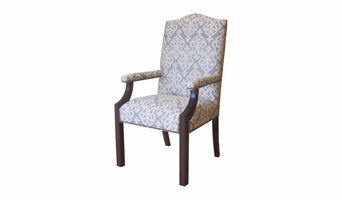 We also specialize in upholstered walls Anything that has to do with fabrics we do! We work both with retail clients and the trade. C & F Furniture Mfg. CFR Patio is an outdoor furniture restoration service that specializes in restoring high end patio furniture. Our services include; Outdoor Sling Fabric Replacement, High Quality Custom Cushions, Vinyl Re-Strapping / Replacement, Vinyl Lace Replacement, Powder Coating / Metal Frame Refinishing, and Vinyl Cording Replacement. CFRpatio prides itself on absolute customer satisfaction and quality workmanship. Commercial services for hotels and homeowners associations also available. From Dream to reality, with your ideas and our imagination! Judy's Custom Working is known for creating luxury, sophistication and comfort in the world of interior design. Our goal is to create comfortable, beautiful products that reflect the individual style of each project we are involved with. We do not have a predetermined style, but offer a large variety of products to compliment the unique design for each individual client. Established in 1975, Judy's Custom Workroom has our own experienced professional craftsmen and women who have been with us for over 15 years. Retaining our own skilled artisans allows us manage the high quality that has become our trademark within the Southern California design field. Based in Los Angeles, Michael Jon Designs has been the fabric purveyor of choice for designers, architects, hospitality groups, event planners and furniture manufacturers since 2004. Our decorative and commercial grade quality textile collections include 100% Belgian mohair, plush velvets, Irish linens, and embroidered sheers, as well as prints and textured solids in a brilliant array of colors. MJD’s state of the art textile printing machines enable our in-house design team to create and print seasonal collections of floral, geometric, and stripe prints on an assortment of base cloths, as well as custom printed fabrics for events and weddings. By providing innovative designs that feature the latest trends in fabrics while also being committed to offering value driven prices, Michael Jon Designs has excelled in capturing the loyalty of customers domestically and internationally. Our vast warehouse allows us to stock all of our fabrics for immediate shipment. Whether your design job requires 5 yards or 1000 yards, you can count on it being in stock and available for immediate shipping. This combination of design and production capabilities along with our extensive line of stocked fabrics makes us an unparalleled resource in the fabric industry, providing our clients with solutions to every project. An exquisite collection of outdoor fabrics. GAMINO DECOR sets the standard for fabrics, upholstery, custom furniture, and a host of other design services. We are dedicated to professional service and quality craftsmanship, ensuring your satisfaction. We give attention to every detail in each unique piece. Let GAMINO Decor help make your decor dreams a reality today. Please give us a call and let us begin a wonderful working relationship with you! FabricSeen’s Online Fabric Store presents design center quality upholstery, drapery & outdoor fabrics online at serious discounts. From European silk and linen to cotton chenille and velvet to hard-wearing blends for high traffic areas, we offer a wide variety of quality fabrics in current colors. Re-upholstery/upholstery repair includes redoing/outfitting items like chairs and sofas with springs, padding and fabric coverings. This can also include adding fringe, piping, tufting or additional decorative elements to a furniture piece. They can also advise you about the pros and cons of different fabrics so you can choose the best type for the project in your Santa Monica home. Find Santa Monica furniture repair professionals on Houzz. 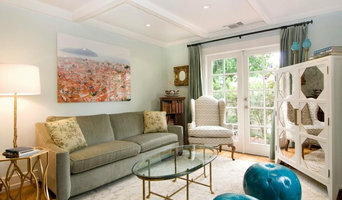 Narrow your search in the Professionals section of the website to Santa Monica, CA furniture repair.